Ana GrasseIli stepped on her musical path at the young age of five when she started attending a music school and started singing in a choir. As a flute player, she spent more than nine years improving and nurturing her growing love for instrumental and chamber music, but it was not until secondary school that her love for singing finally took over. Today she is a receiver of the honorary scholarship for gifted students of the Municipality of Ljubljana, finishing her studies at the Academy of Music under the mentorship of the renowned soprano Theresa Plut. She was introduced to the Slovenian opera audiences with her debut in the Monteverdi’s baroque opera Orfeo by The Slovenian National Theatre Opera and Ballet Ljubljana. She is also very passionate about musical theatre and thus performs regularly in various stage productions. 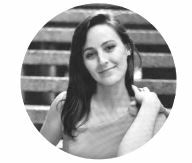 She attends international seminars by the world-renowned artists, works as a voice teacher and is a part of the development and growth of the Slovenian musical theatre. 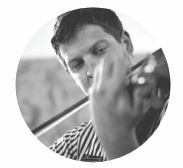 Ziga Faganel started his violin studies in Ljubljana and earned his degree in Alice Schoenfeld’s class at the USC Thornton School of Music in Los Angeles. He was also successful at various c ompetitions, also as a member of the Tetraktys string quartet. He upgraded and improved his skills in Austria at professors Rainer Muechl and Peter Goetzl. He was the concertmaster of many Slovene and international youth orchestras. He was a member of The Orchestra Of The Slovenian National Theatre Opera and Ballet Ljubljana and from 2009 a member of the Slovenian Philharmonic. From 2011 to 2013 he was a member of the string quartet of the Slovenian Philharmonic. Beside orchestra, he dedicates most of his time to chamber music and performs at festivals in Slovenia and abroad. Dalibor Miklavčič studied Organ and Composition in Vienna (University of Music) before spec ializing in Early Music in Milan with Lorenzo Ghielmi. Already young he won several prizes at European organ competitions and vividly performs In most European states and in Asia. He also spends much of his time on interpretations and research on two most exciting instruments: Pedal Pianoforte and Pedal Harpsichord. 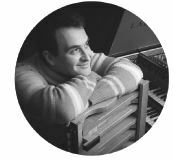 He received most positive concert reviews in Europe and currently works on a reconstruction of a romantic pianoforte with its pedalboard. He served as visiting professor for Organ and for Improvisation at the Music University in Graz/Austria, Music Academy of the Ljubljana University, St. Stanislaus College in Ljubljana, … He gives invited masterclasses for leading Music Academies in Europe (London-Royal College, Liibeck-Musikhochschule, Budapest-Franz Liszt Music Academy, Vienna Conservatoire, Goteborg Music Academy etc) or teaches at summer masterclasses in 15 European countries (among others as successor of Harald Vogel, for Thuringische Orgelakadernie, Germany) and is jury member of international organ competitions, among them the ”Bach-Wettstreit an der Bachorgel, Arnstadt. He performs also as duo-partner with baroque violinists (S. Standage, E. Onofri…) and soloist on keyboards with “Haydn Sinfonietta Wien” on original instruments. He also recorded with the mezzo-soprano Bernarda Fink and bass-baritone Marcos Fink.